The Chevrolet Silverado 2500HD is the automaker's full-size, heavy duty pickup truck also available as a one-ton pickup (Silverado 3500HD). Both are related to GMC Sierra heavy-duty pickups. The Chevy Silverado heavy-duty truck range is powered by a standard 6.0-liter V-8 gasoline engine, or an optionally available 6.6-liter turbodiesel V-8. 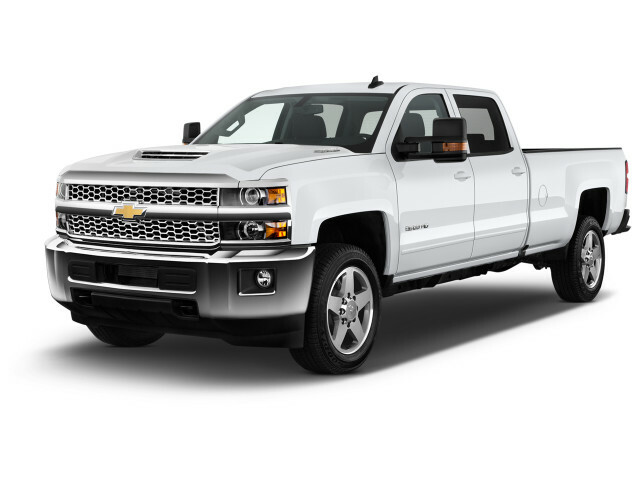 The Silverado is available in regular, extended, or crew cab configurations with rear- or four-wheel drive. The Silverado is mechanically related to the GMC Sierra HD range, but whereas the GMC heads upmarket in Denali trims, the Chevy version skews more toward professional or fleet buyers willing to trade some creature comforts for a lower price tag. The Silverado HD competes with the Ford Super Duty lineup, the Ram heavy-duty roster, and perhaps the GMC Sierra HD lineup. 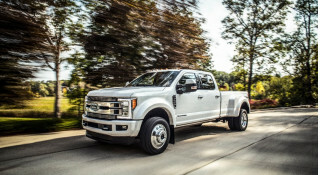 It's largely unchanged for the 2019 model year, in advance of a new truck that arrives for 2020. The latest iteration of the Chevrolet Silverado HD series made its debut as a 2015 model year, complete with upgrades to the infotainment, stiffer high-strength steel, and some aluminum components to help shed weight for fuel economy. Chevy offered the Silverado HD series with a 6.0-liter V-8 gas engine as standard, or an optional 6.6-liter turbodiesel V-8. A newly available High Country trim offered bigger wheels and more creature comforts on the Silverado HD range, although stopped short of Denali-grade opulence found in the related GMC Sierra Denali HD models. 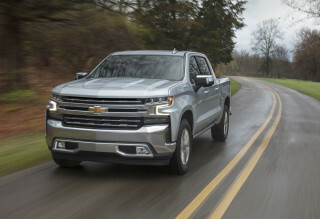 In 2017, the Silverado HD received an updated grille and bumpers, and a new hood to help feed an updated turbodiesel that could make up to 910 pound-feet of torque. Certain configurations of the diesel-equipped Silverado HD were rated to tow more than 18,000 pounds with a fifth-wheel trailer attached. The standard 6.0-liter V-8 was rated for a payload capacity of more than 3,500 pounds in some models, which made it the in-bed king. 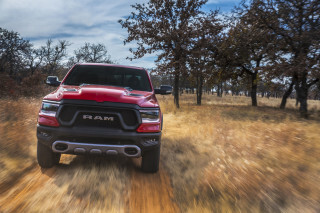 All engines are paired to 6-speed automatic transmissions; Chevy stopped offering manual transmissions in heavy-duty pickups more than a decade before the new models arrived. The Silverado HD is still offered in WT (work truck) configurations that pack vinyl seats, no floormats, and bench seats, although the pickup market skewed heavily toward more opulent features. The Chevy Silverado HD's history reads similarly to the GMC Sierra HD's tale—the two have been mechanically related for more than five decades. Chevy's heavy-duty truck range goes back longer, but direct predecessors can be traced to the 1960s when Chevy offered "C" and "K" models in 20 and 30 series for three-quarter and one-ton configurations, respectively. The "C" denoted "conventional" trucks that were rear-wheel drive; "K" confusingly stood for "four-wheel drive," which was newly available from the factory. The next generation of heavy-duty trucks from Chevy still tended to focus on commercial and professional users; no four-door models were offered in the 1970s, and most of the heavy-duty range used a solid front axle when equipped with four-wheel drive. The third generation of Chevy's heavy-duty lineup carried them all the way into the late 1980s and marked the first appearance of the word "Silverado," which was used on top-trim pickups. Chevy still didn't offer a four-door version of these heavy-duty trucks, although crosstown rival Ford started offering the types around this time. After 1987, Chevy began offering its heavy-duty trucks with more features including independent front suspension, automatic four-wheel drive, and improved gasoline V-8s. The C/K moniker was dropped in the late 1990s, and Silverado was introduced in 1998 as the new name for Chevy's trucks. Three generations of the Silverado have been on sale in the U.S. since 1999, and while light-duty variants have come and gone (performance, hybrid) the heavy-duty range has stayed relatively work focused. The manual transmission was finally quietly killed from the Silverado 3500HD in 2007. Best truck I have ever had. Duramax rules..Allison is awesome! Amazing truck, almost eight years old.